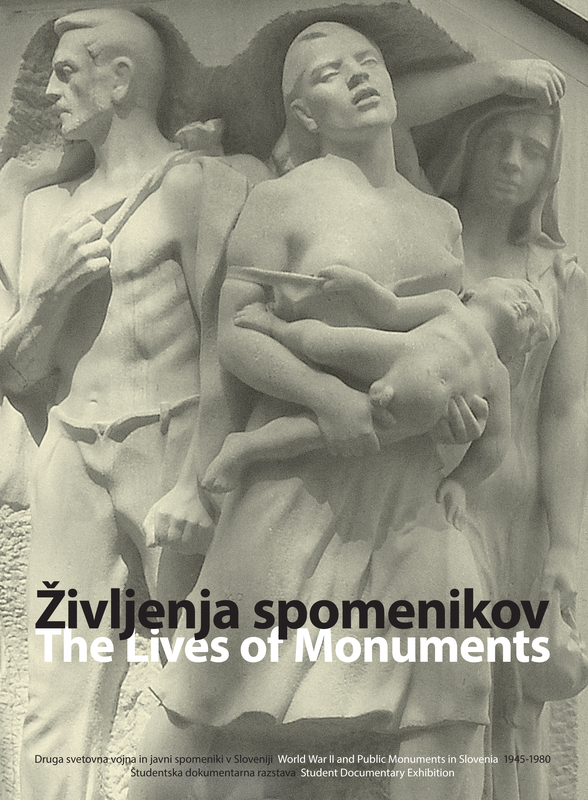 The student documentary exhibition The Lives of Monuments, on view at the Museum of Contemporary Art Metelkova, is accompanied by a bilingual catalogue Življenja spomenikov: Druga svetovna vojna in javni spomeniki v Sloveniji 1945-1980/ The Lives of Monuments: World War II and Public Monuments in Slovenia 1945-1980, which will be available in the bookstores of Moderna galerija and the Museum of Contemporary Art Metelkova from 8 February on. The catalogue includes texts on selected monuments and a wealth of visual and documentary material. Students undertook a detailed analysis of specific monuments to become more acquainted with the realities of their existence. The selected parts of the research papers show that the lives of monuments are neither monotonous nor simple. A monument is often produced in a very complex and lengthy process that may last for years, or even decades. This can be followed, in rather rapid succession, by periods of acceptance or even enthusiasm, and a reserved, distanced attitude towards the monument that can even be accompanied by rejection and vandalism. In an unusual contrast to its often massive and invincible appearance, a monument’s exposure to the public space always leaves it accessible, extremely vulnerable and strongly dependent on its community. Avtorji besedil so Urška Barut, Tanja Bračun, Živa Brglez, Gregor Dražil, Amadeja Iskra, Maruša Kocjančič, Klemen Kordež, Zala Koren, Katarina Korenak, Hana Ostan Ožbolt, Miha Valant, Julija Zagoršek, Saša Žafran in Beti Žerovc. Uredila sta ga Marko Jenko in Beti Žerovc. Price of the catalogue: 8€.